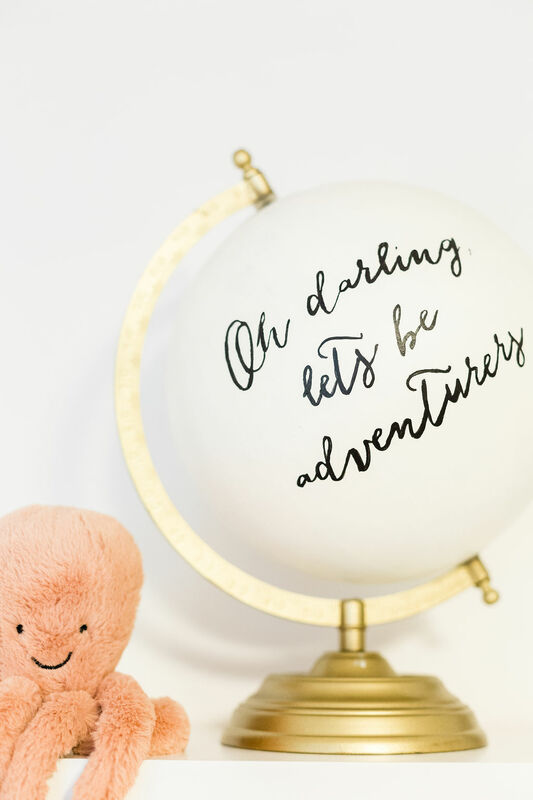 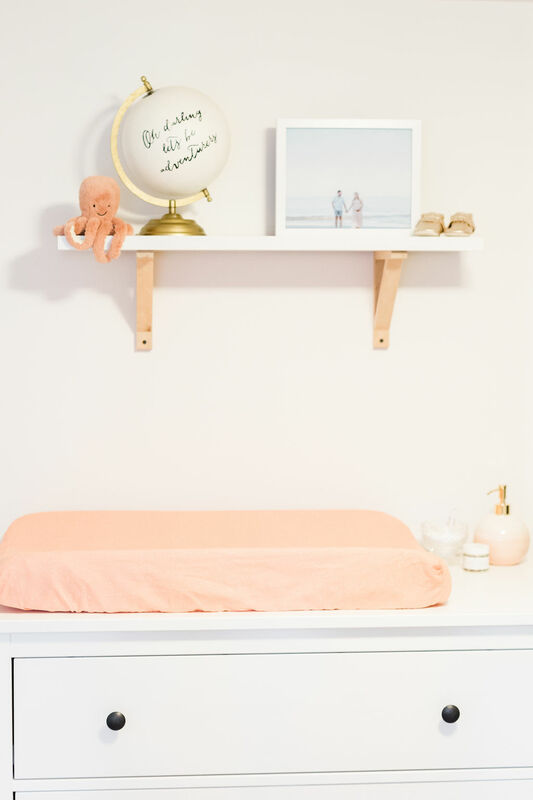 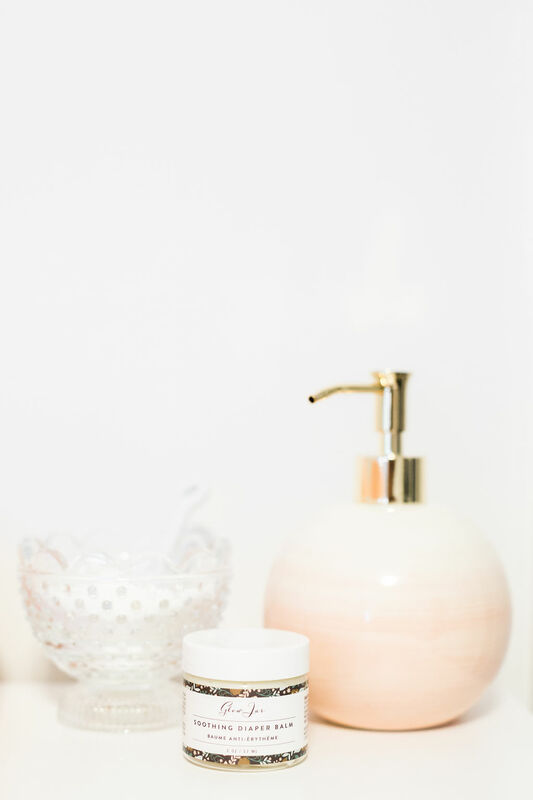 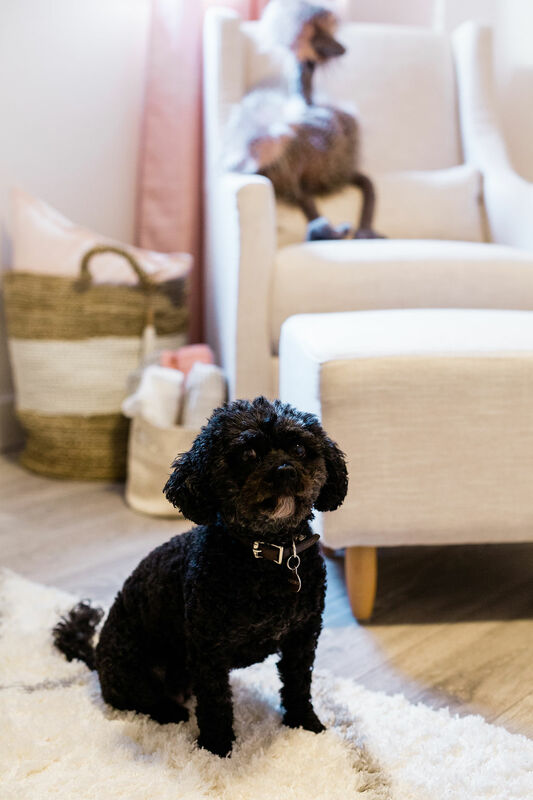 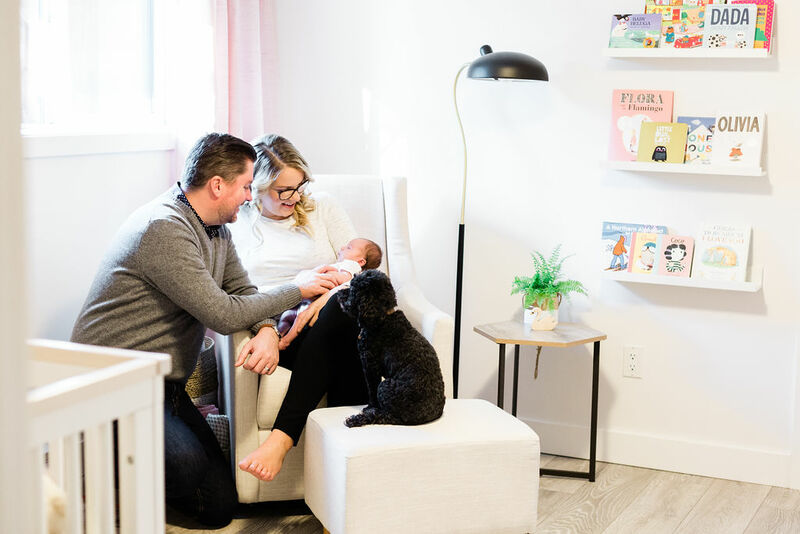 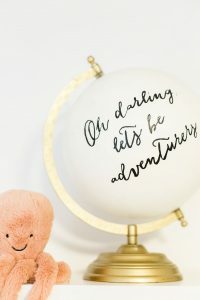 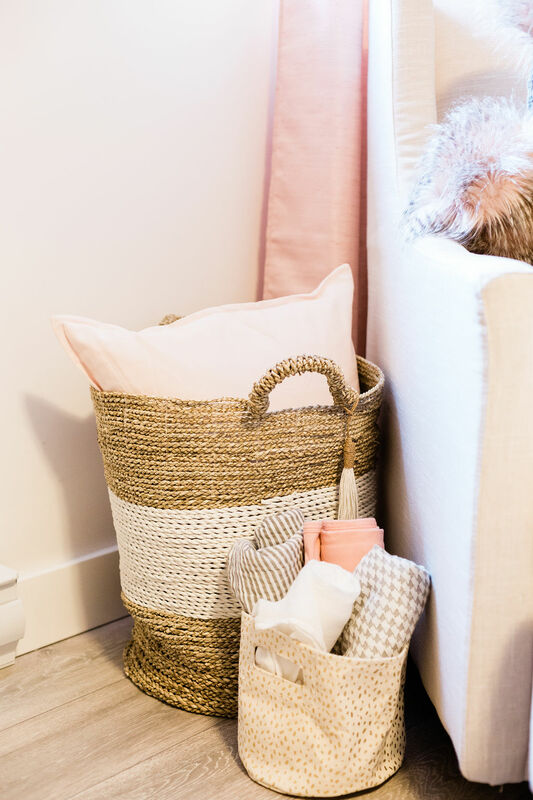 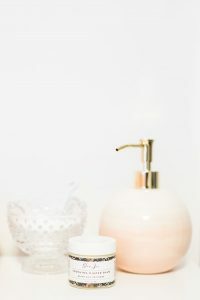 When dreaming up the perfect nursery for our soon to be little girl I wanted a space that was fun, light bright and airy, a little modern but girly, and a room that could grow with her over the years. 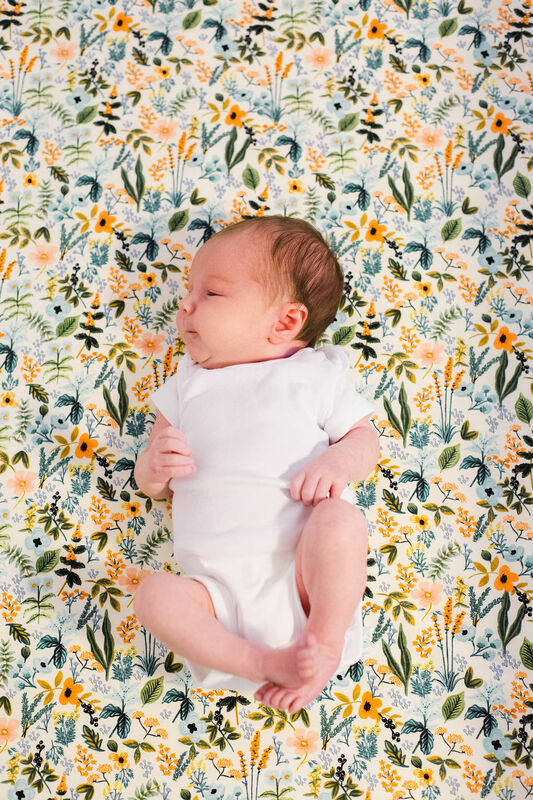 I have always loved Rifle Paper Co. and the amazing fabric Anna has created with Cotton & Steel. 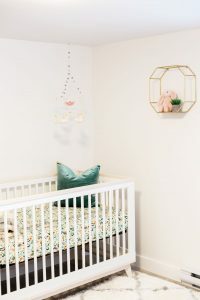 Choosing the fabric for Audreys crib was the starting point, I knew that I could pull colours from it for the room. 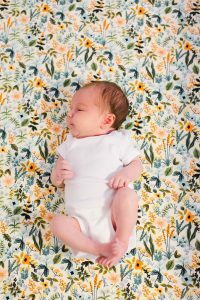 I selected “Herb Garden in Natural” from the Almalfi Collection. 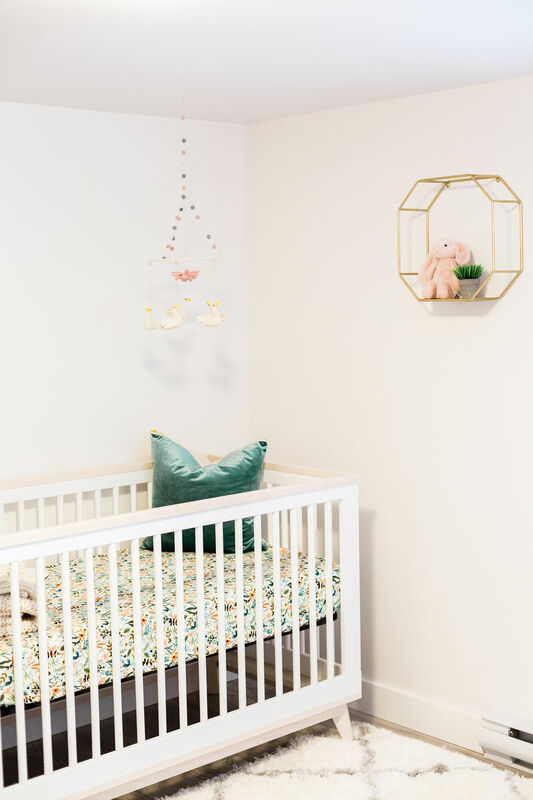 Keeping with the light, bright and airy feel David and I decided to purchase the Baby Letto Scoot Crib in White/Washed Natural from Momease Baby Boutique, and matching glider. 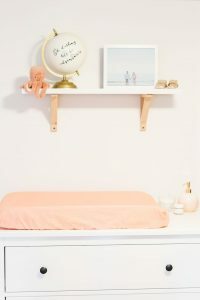 We did not want a large dresser/change table so we went with the Ikea Hemnes 3 drawer in white wash. Its the perfect size to place a change pad and some accessories. 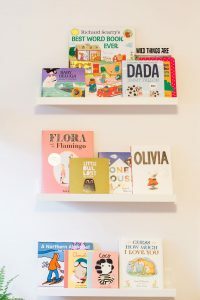 Books were a must have for the space, not only are they educational but they are colourful, a fun way to brighten the space without the use of art work. Most of the books were gifted to us at our baby shower, and ones I had picked up over the months of pregnancy. While shopping in Vancouver I came across the cutest hook for her hooded towels to hang from. 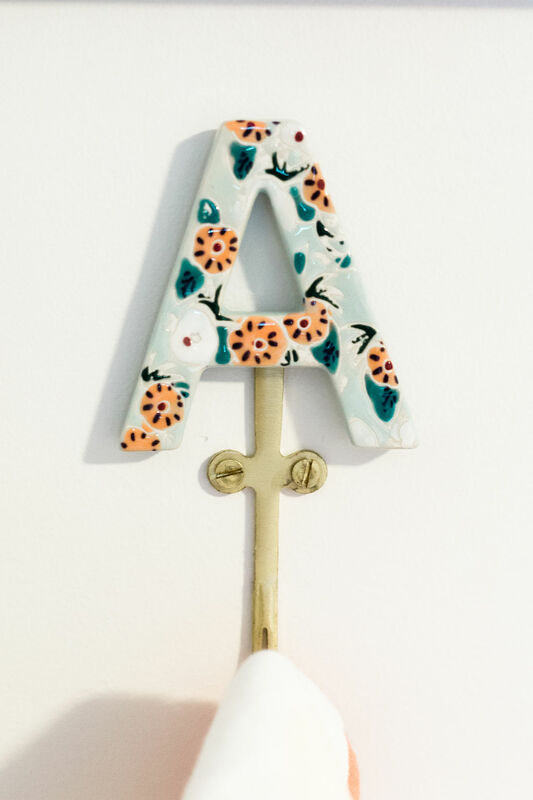 A beautiful “A” from Anthropologie.